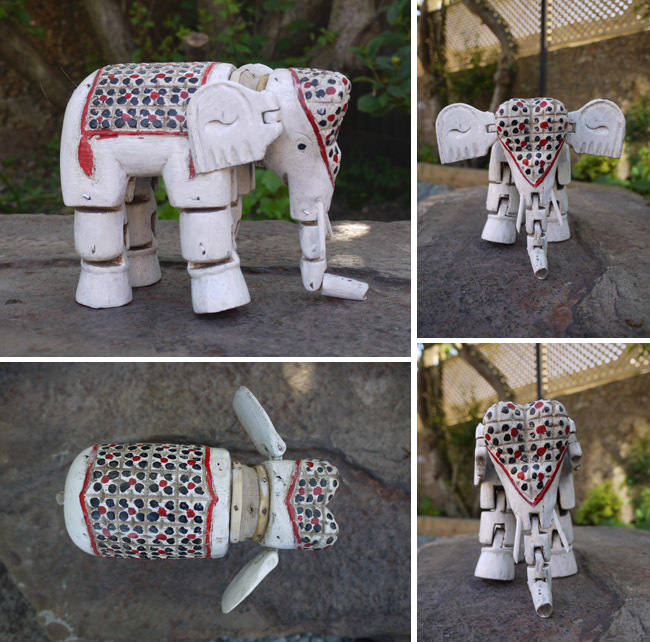 I found this rather unusual, antique Indian elephant toy in an antique shop in Lewes, Sussex. ﻿She is made of wood, hand painted and has a fabric neck enabling her head to move up and down and from side to side. Her ears flap, her truck stretches and curls and her limbs move freely - she's such sweet little elephant measuring 9 inches long by about 4.5 inches wide. 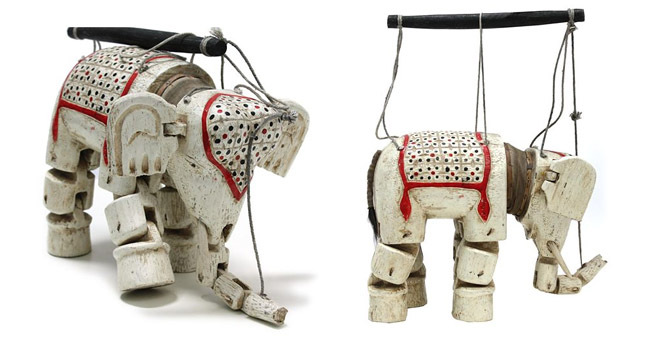 At the time, I wasn't too sure what she was - other than a toy of some sort - but further investigation has enlightened me to the fact that once upon a time, this little elephant was a marionette! Stings would have been attached to her back, head and trunk enabling her to dance and move, entertaining and delighting children. What do you think of my elephant find? If anyone knows how old she might be, please comment!